I’ve been loving the look of leather and suede elbow patches, so I decided to try it out myself. I could not find ready-made suede patches anywhere! So I headed over to a thrift store and found a suede skirt. There was a half-off sale so I paid only a couple dollars for it. I made a “pattern” out paper (basically a rounded rectangle) and traced it onto the suede material and cut it out. 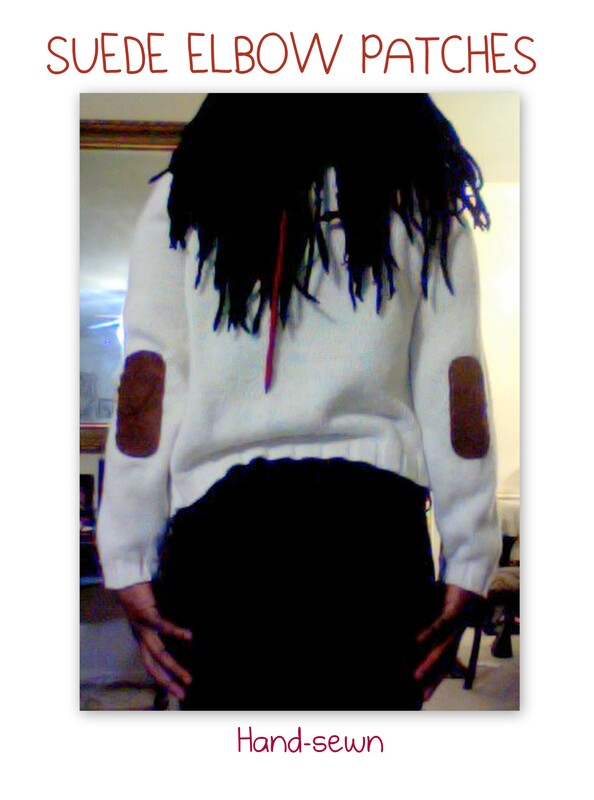 Then I hand-sewed it. This is my first attempt. I hope the next ones I do will be easier.